Kazuya Takajo (Sho Sakurai) was a promising soccer player. At the age of 23, he was selected for the national A football team and he bought a house to live with his fiancé Miki Nakagawa (Masami Nagasawa). 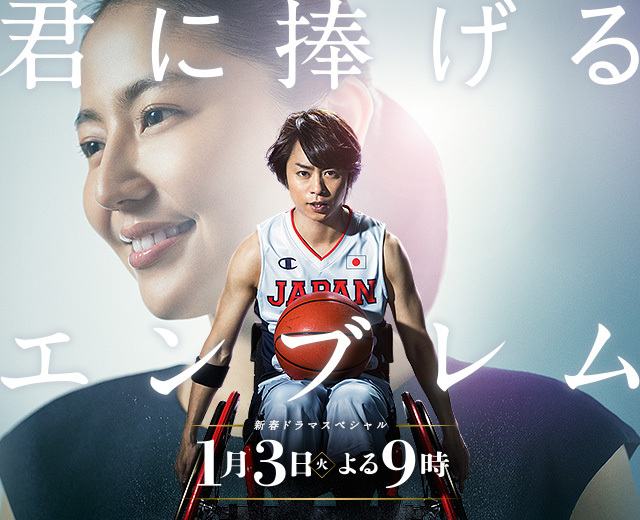 One day, Kazuya Takajo gets into a car accident and becomes paralyzed. He must now spend the rest of his life in a wheelchair. He falls into deep despair. At that time, Miki shows him their marriage certificate. Kazuya goes through rehab on the strength of his wife's love. Yet, he becomes frustrated by those opposed to his marriage with Miki and others who give him pity looks. He also can't find anything to replace soccer in his life. Kazuya then witnesses a wheelchair basketball game at a gym. Based on the true story of Kazuyuki Kyoya. jenneevie Oct 12 2016 9:57 am Ganbatte ne Sakurai-san! I saw his photos practicing basketball while sitting in a wheelchair. I'm looking forward to see him acting again.